If your website is aimed at getting business contacts and if you sell your company are not products if no services, branding online should be your priority. 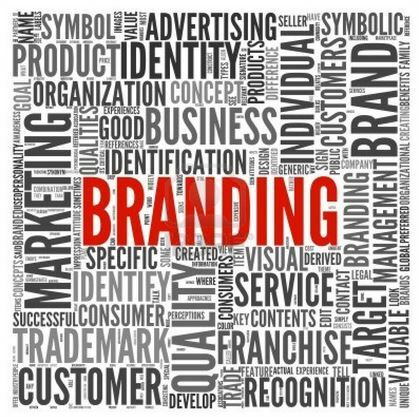 we call "branding online” or “online branding"Management of brand reputation / person Internet, using the tools of digital marketing. When you want to sell is not a tangible product, the customer must decide based on the information available on this service, either on your website or is in third. The reputation you create around your company is what will end up deciding the sale. 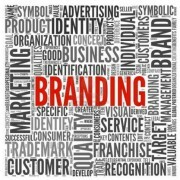 The online branding and the basic techniques of digital marketing. More than 90% of searches in the Spanish internet are made from Google (Source: Global Stats) So the main tool for managing your online branding is SEO (natural search engine rankings). Find your brand, your company name, the name of some of your managers and manages well the image you are offering in Google. I mean, this is one of the principles of relationship marketing, customer orientation, as opposed to product orientation. To do this, divide your customers into 3 or 4 market segments, and on your website, create a zone for each of them. In these areas, use their vocabulary, images that you can feel reflected and talk about their needs and concerns. Explain how your services or your products can solve. 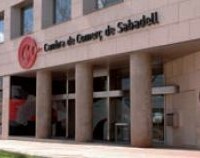 Example 1: www.dell.es -> Seen as separate private companies. Example 2: www.tnc.cat -> Create sections for notes as "schools", "business", "university", etc. No matter what you say about your brand, anything said by one of your customers has much more credibility. So using customer testimonials that have fidelizados to convey the brand image you want to show your future customers. The testimony can post on your website and social networks. To improve SEO. A link to your site, published in online media, improve your search engine positioning. So do not forget to include links to your website in the press releases you send to the media. To improve branding. Creates "a section of the typewhat the press says about us"And every time you publish something about your company, cítalo in this section and linkea the source. As in the case of testimony, the press is much more credible than anything you can say you anywhere. Also post on social networks. It is important to know what your competition is transmitted, how it does it, and what results they are getting. Here you will find an article I wrote about "How to make a benchmark". It can be of great utility. Check the bounce rate on your homepage (you will see in Google -> Reports -> Behavior -> Site Content -> All pages). The ratio of rebound of a corporate website should not exceed 35% of visits. If you get through it, reviews the design, usability, site speed and content of the home page. Do not give up until you get 35% or less. Take control of managing your brand's reputation (whether it is your company as if it is your personal brand), and not let it be the chance to decide what image you project. Thank you very much for the advice. I agree and perform our competition análiss is important to learn to differentiate and make referrals. Very good advice. I had never given too much importance to this branding but I think I'll start to consider it. A greeting. Thanks for the tips! Sometimes you forget that what matters in these cases are customers.